Kennedy informed the students about the mythology behind, “quilt codes,” which are various geometric shapes that were used to convey messages during the era of the Underground Railroad; Harriet Tubman quilts in particular. According to Kennedy, the symbols which were often misconstrued by on-lookers, were also used to tell the story of slavery, overcoming oppression, and other forms of racism. Kennedy shared stories of famous quilts such as the collective quilts that came all over the world to tell the story of the first African-American President Barack Obama. 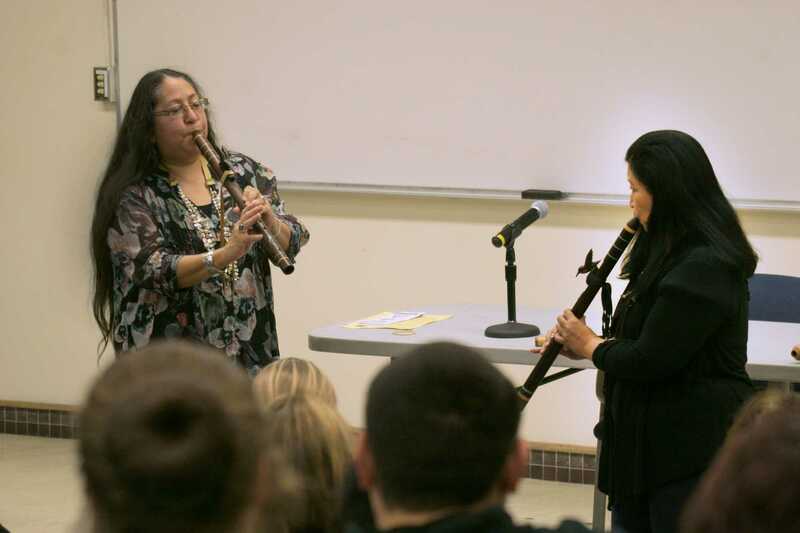 Grammy winning flute-player Mary Youngblood captivated the audience with a song from her Native American flute. Youngblood then spoke of what she believes to be the misconceptions of the media blinding people into believing that women were not allowed to play this flute. Youngblood confessed that the more people that told her flute playing was for men, the more determined she was to play it. According to Southern California American Indian Resource (S.C.A.I.R. ), the Native American flute was meant for, “men to court women” and not much else. She ended her speech playing a duet with her friend Maryann Myers (who is also involved with ARC’s Native American Resource Center). The presentation ended with Youngblood encouraging students to join ARC’s Native American Resource Center, located in Davies Hall. Be the first to comment on "College Hour celebrates Women’s History Month"